The human society is always undergoing transformation. Equipped with modern technology, human quest for truth has enabled him conquer the natural barriers.From prehistoric times to this computerized age,man is constantly under evolution and has successfully attained the highest position in the animal kingdom. Attainment of this status is nothing more than a result of his curiosity and diligence to meet up his deficiencies. we are not exception to this cosmological fact. 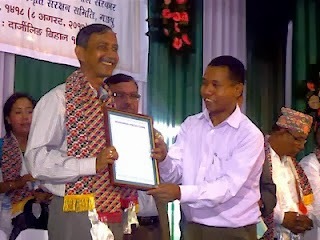 we as an online news channel do not cherish utopian dream but certainly do try our best to quench your thirst of news. we do not have any hidden agenda and do not harbor any ill feelings to other online news channel. we believe in humanity , peace, non violence and universal fraternity. 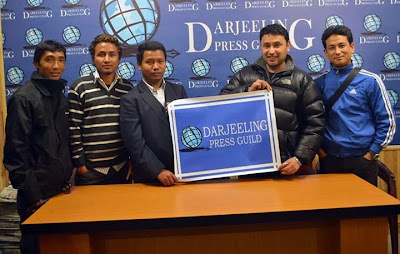 Mungpoo News is Proudly Powered By Mungpoo Press Club and Affiliated with Darjeeling Press Guild. Press Guild president Mr Vivek Chettri presenting flex to MPC. About us - Mungpoo News,we as an online news channel do not cherish utopian dream but certainly do try our best to quench your thirst of news.